100% woven cotton tie, and imported from Germany. We do however know exactly where they were m.. Some of this brown reminds me of the dusty streets of wherever you're from. T..
You been in a household that uses an old orange sack as a loofer? No? Y..
After a heavy night. Some sunglasses to go with this. We use 100% wax p.. Dark green and mustard yellow Slim Tie ..
Have you ever actually seen a honeycomb? It is beautiful if you're not being attac..
Green lemons. Ripe, yellow lemons. At a farm in Limpopo? That's all yo..
Makes me think of high school blazers. And money. Because rich colours. 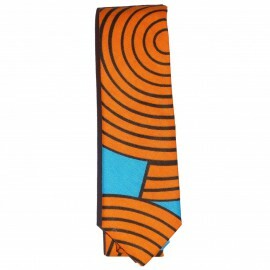 ..
Sky blue and orange slim tie ..
Red and yellow slim tie ..
Do you remember the 2014 World Cup? Rio Carnivals and pretty looking things? That'.. The lovely seas, but a little rougher around the edges. 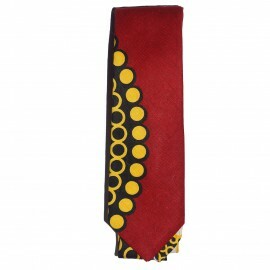 100% woven cotton tie, and imported from ..